Gentle Cleansing. Proven Healing. 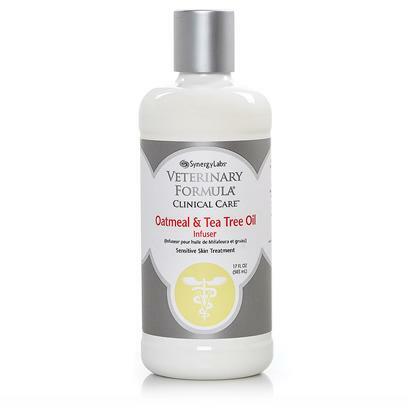 Colloidal Oatmeal, a premium natural moisturizer, provides soothing relief to dry, flaky or itchy and irritated skin. Medicinal Tea Tree Oil (natural Melaleuca Alternafolia) is proven effective against bacterial and fungal infections. Helps calm the sting and itch of insect bites. No artificial fragrances. No harsh chemicals. Paraben free. pH balanced for dogs. Water, Sodium Lauryl Ether Sulfate, Acrylates Copolymer, Cocamide DEA, Cocamidopropyl Betaine, Sodium Lauryl Sulfate, Glycol Distearate, Tea Tree Oil, DMDM-Hydantoin, Colloidal Oatmeal, Tetrasodium EDTA, FD&C Yellow #5.